As the recipient of countless industry awards, Karen repeatedly appears on top creative lists, and most notably was named #3 on Business Insider’s list of top creative women in advertising. At Martin, Karen leads the entire creative crew plus the domestic and global creative direction for several of Mondelēz’s brands, including OREO and RITZ. 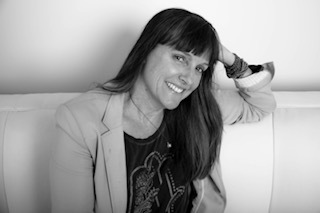 Prior to joining Martin, Karen was an executive creative director for Deutsch. She helped grow that office from 13 people to over 400 in its first few years, and was most recently leading the Target account for the past six years. During her extensive career in advertising, Karen has launched brands such as Expedia and HTC, created iconic campaigns like the Happy California Cows and touched almost every category in marketing from cars to fashion to music. She loves challenges, hates the phrase ‘can’t be done’ and believes with 100% certainty that every single brief is a chance to do something great. One of Karen’s great passions is using creativity to make the industry and the world, better. She has worked tirelessly throughout her career to create and advocate for more leadership roles for women and worked to level the industry’s playing field; she has helped create more humane work environments; worked on political campaigns and built volunteer workforces to address local community needs. Her greatest passion though, is her family. She is the proud, and often weary parent of a pre-teen daughter and 10 year old son. She and her husband both share a love for survival shows, good wine and outdoor sports especially those that include climbing something high and scary.